Welcome to the Essilor Academic Challenge (EAC) page. Students and onlookers loved our debut at Academy 2018. Make sure you join us at the 2019 Academy meeting in Orlando, as the celebration will only get bigger and better! 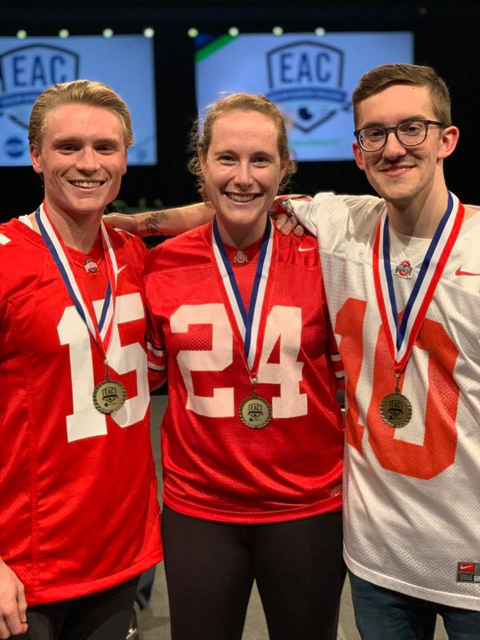 The EAC is a team competition, where each school selects three students (of any year) to form their team and battle it for the EAC Championship! Schools bring their knowledge and school spirit, as they are in it to win it! Each member of the winning teams was awarded a cash prize in addition to other great swag. Volk donated diagnostic lenses for the first through third place winners. Keeler donated pocket diagnostic sets for the first place team. See you all in Orlando for Academy 2019!